George "Skip" Roberts brings over 45 years of legal experience to Flora Pettit. 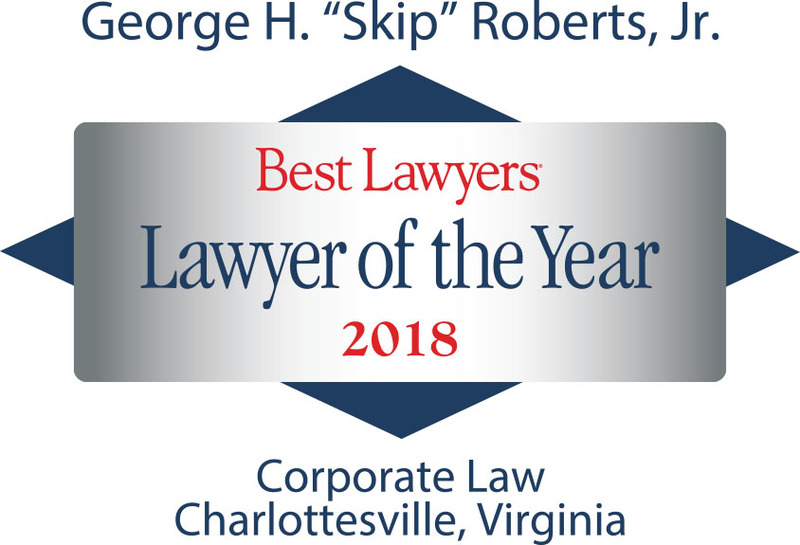 Beginning his practice in 1971 with Wharton Aldhizer & Weaver PLC, Skip provided legal services to some of the Valley’s largest businesses, financial institutions and wealthiest families. From 1991 to 1998, he broadened his experience base as the Executive Vice President and General Counsel for the VMI Foundation, running one of the largest college endowments in Virginia as well as helping to guide VMI through its litigation over its all-male admissions policy. In 1998 he returned to the private sector joining a major Richmond law firm, Christian & Barton, as co-head of its business practice group, which soon led to his being named the Managing Director and General Counsel for Ivor & Co., LLC, a New York based investment firm, overseeing the business, legal, charitable, investment and tax affairs of a leading Wall Street investment banker and private equity firm founder. Skip’s extensive nonprofit experience includes acting as the Interim President of the George C. Marshall Foundation in Lexington, Virginia from November 2013 to May 2014 and serving as the President of the Stonewall Jackson Foundation and as a member and Chairman of the Board of Directors of VMI Investment Holdings, LLC, which oversees the VMI endowments in excess of $400,000,000, one of the largest endowments on a per student basis of any public college or university in America.